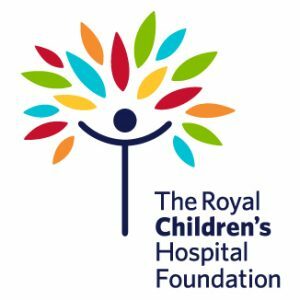 The year 2020 marks 150 years of The Royal Children’s Hospital (RCH) providing outstanding healthcare to the children of Victoria. From humble beginnings in the heart of Melbourne, the RCH has risen to become a world leading children’s hospital within a highly respected academic health science precinct. The anniversary is a time to celebrate the achievements of the RCH and the affection which the community feels for it. It is the time and it is the perfect occasion (just on a decade after the opening of the new hospital), to both acknowledge and honour what has been achieved and to reaffirm the ongoing and unswerving commitment to continually improving health outcomes for the community’s most vulnerable children, today and into the future. If you would like to join this great organisation and deliver a program that honours the past while plotting a path for the future, apply for the position of RCH150 Project Director. Working closely with the RCH Foundation and the hospital you will be responsible for the implementation of the project plan; build a core group of partners with whom the plan will be executed; liaise with communications staff and social media support staff and volunteers to deliver the program, and assist in the delivery of supporter engagement programs. Your donations support the RCH and its campus partners, The Murdoch Children’s Research Institute(MCRI) and The University of Melbourne Department of Paediatrics, to push the boundaries of paediatric healthcare. Please quote in application: Project Director – RCH150 via Pro Bono Australia.